From the perspective of US consumers and investors, inflation has both hot and cold pockets, especially in the food sector. By mid 2009, months after the Fed announced its first round of quantitative easing to address the Financial Collapse, the food-at-home portion of the Consumer Price Index fell below the food-away-from-home CPI. By the end of 2009, the cost of eating at home was falling faster than the cost of eating at a restaurant. After a recovery from 2010 to early 2015 in which both CPI food prices were rising, consumers are once again seeing a large disparity between rising and falling types of CPI estimates. CPI can theoretically be used by investors to determine the percent of their paycheck they would need to save to outpace the inflation of products they buy for their everyday lives. But if prices across one sector of our economy vary so widely that they present such different readings for year-over-year CPI growth, it makes it harder for investors to gauge the pace of real inflation on a practical basis. Compared to thirteen years ago, dollar purchasing power has dropped 25%, as the graph above depicts. It originated from Rosland Capital’s section on hedging dollar-priced assets with precious metals like silver or gold IRAs, showing how the dollar reached just 85% of its 2003 value by 2008-2009 and dropped to 75% in 2014 after the Fed’s quantitative easing program winded down. Even taking into account gold’s overall downward trend from 2011 to early 2016, you can see from the graph that gold has stayed over $1050 an ounce--the price in 2009 when dollar purchasing power was still at 83%. The chart below compares the change in the S&P 500’s price-to-earnings ratio with core CPI growth from the beginning to end of each stock market expansion. During the last two bull markets, overall P/E declined while change in CPI (leaving out food and energy) remained in positive territory. By December 2007, S&P 500 companies finished the housing boom 52% cheaper than they were at the start of the bubble in November 2001. In April 2017, as you can see, the disparity between P/E change and core CPI growth has grown larger. Consumer prices grew at relatively the same pace from June ‘09 to the start of April ‘17 as they did during the ‘01-’07 expansion, while S&P 500 companies had an even greater drop in valuation than before, dropping 78% since June 2009. It’s worth noting that P/E was 122.41 in June 2009 compared to just 46.15 in November 2001, so we did start this current period with loftier valuations than the previous bull market. Earnings inflation through companies reporting non-GAAP figures like EBIDA and EBIDAR--earnings before interest, taxes, depreciation, amortization and even rent--is another form of price inflation seen in more tech companies now than in the 1990s, when it was more of a trend among companies like Microsoft to follow generally accepted accounting practices when reporting their earnings. With the Federal Reserve vowing to wind down its $4.5 trillion balance sheet of Treasuries and mortgage-backed securities purchased during QE--which Fed officials describe as comparable to another rate hike--we are already seeing some uncertainty in the market, especially as geopolitical events are thrown into the mix. So far this year, the VIX has been up three of the past four months; something to watch as we continue into year nine of the stock market expansion. Robert Elway and his colleagues work for Rosland Capital and penned the preceding article for educational purposes. 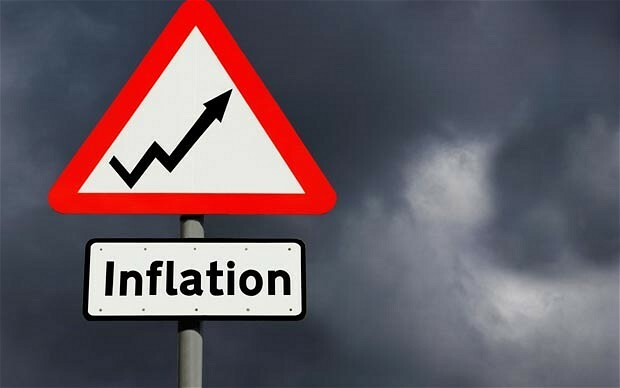 This article (Different Forms of Inflation to Watch Out For in 2017) by originally appeared on StillnessintheStorm.com and is free and open source. You have permission to share or republish this article in full so long as attribution to the author and stillnessinthestorm.com are provided. If you spot a typo, email sitsshow@gmail.com.